Formula One racer spent 15 years in the top flight of professional racing, winning the World Championship in 1992. For eleven years he was a Special Constable on the Isle of Man. He held a record for the most poles set in a single season, and another one for most victories for a British F1 driver. He had three children with his wife Roseanne. 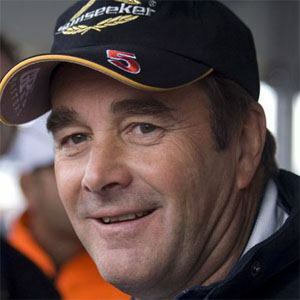 The British paper Times Online ranked him in the Top Ten of the greatest F1 drivers of all time, joining such luminaries as Alain Prost and Jim Clark.